Comment On The Resource Management Act. Peter Clark Finds A Diminishing Breed. Ray Deerness Reports On The Local (Plus A Bit) Scene. A Selection Of John Ford's Colour Slides Of The 1950S. 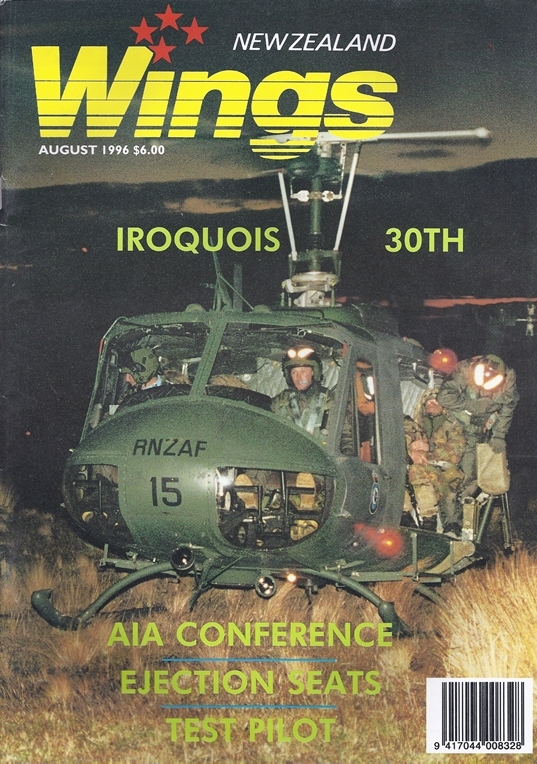 Peter Clark Looks At 30 Years Of Iroquois Operation By The RNZAF. 55 Years Of Ejection Seats, Described By Alan R Reynolds. Don Naim's Experiences With Fleet Air Arm Fighters. Hudson Rollout, Bristol's Big Circuit, Mosquito Update. A Dramatic Portrait By Vaughan Wikinson Of Britannia Airways' Boeing 757-200Er G-Byaf At Hamilton Earlier This Year While On Charter To Freedom Air.